LyxPro premium 1/8" TRS to ¼" are ideal for a wide variety of applications, including professional recording studios, live performance, schools, churches, bands and any other professional audio setups. 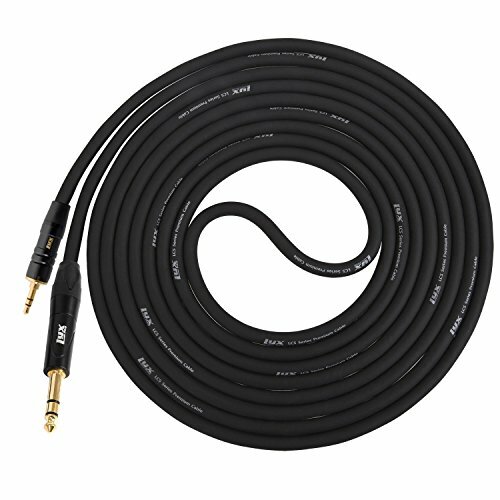 LyxPro TRS cables deliver supreme signal transfer and crystal-clear high frequency transmission while providing stellar performance and maximum noise rejection. LyxPro cables are extremely durable to take the abuse of life on the road. Each cable is constructed of 24 AWG Oxygen-Free Copper (OFC) with 95% helical shielding and gold-plated contacts on the connectors for corrosion resistance. If you have any questions about this product by LyxPro, contact us by completing and submitting the form below. If you are looking for a specif part number, please include it with your message.